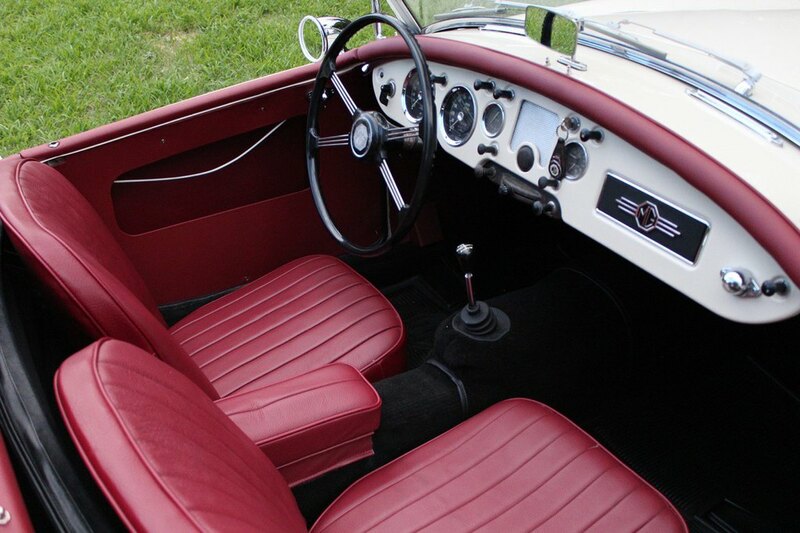 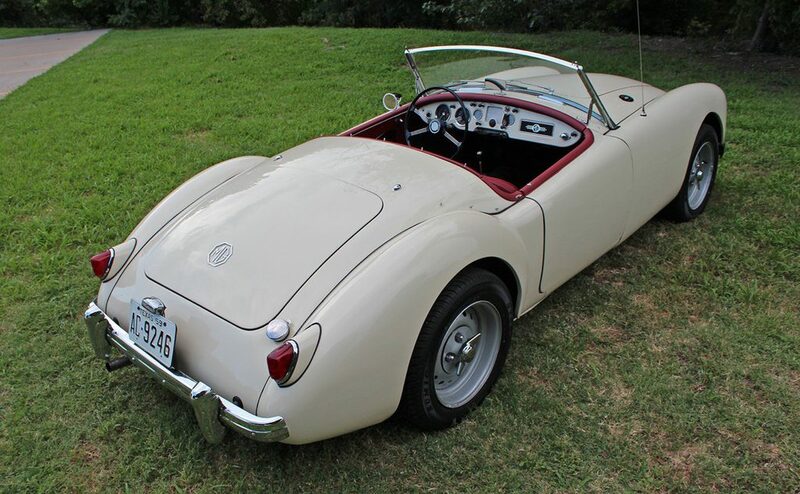 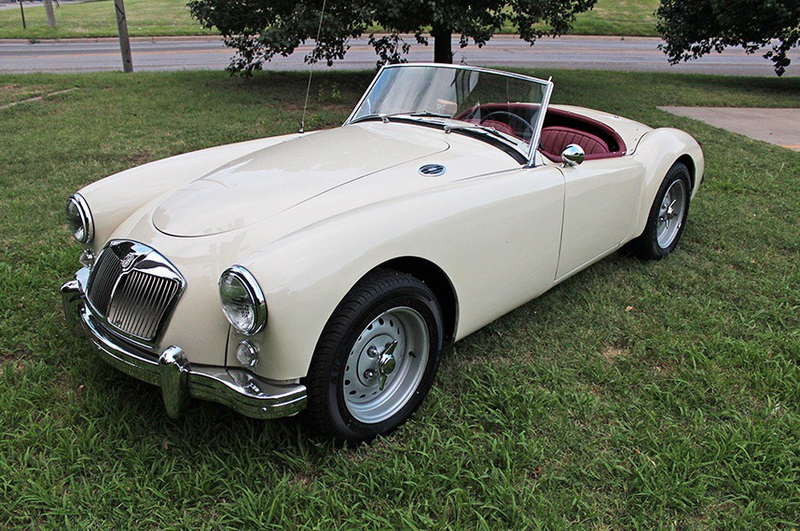 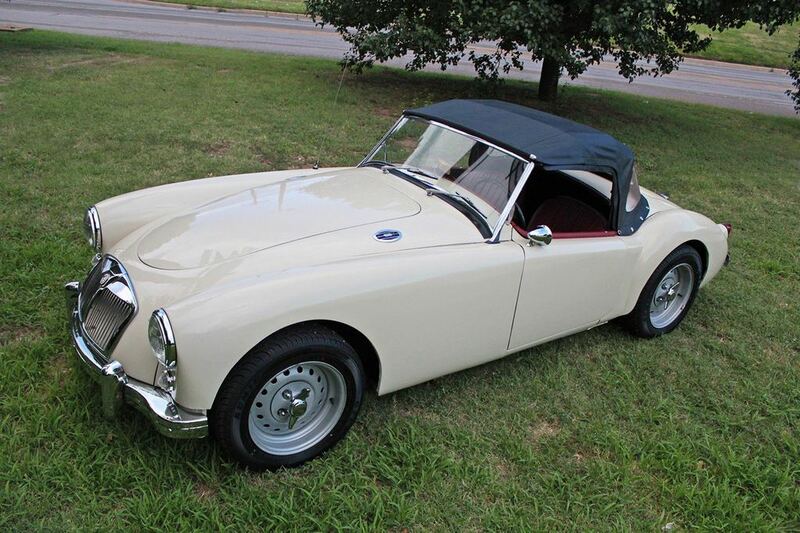 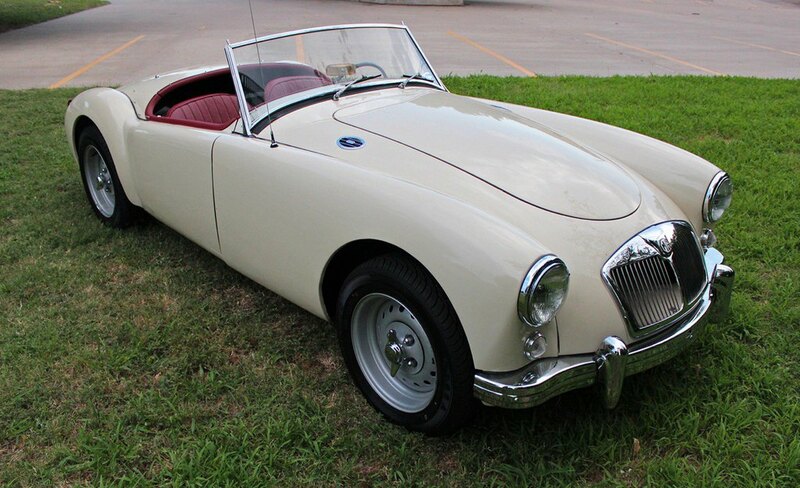 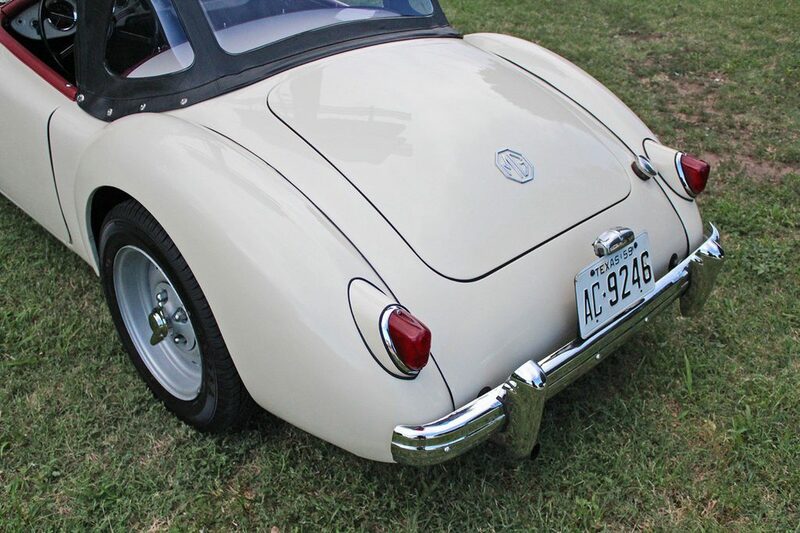 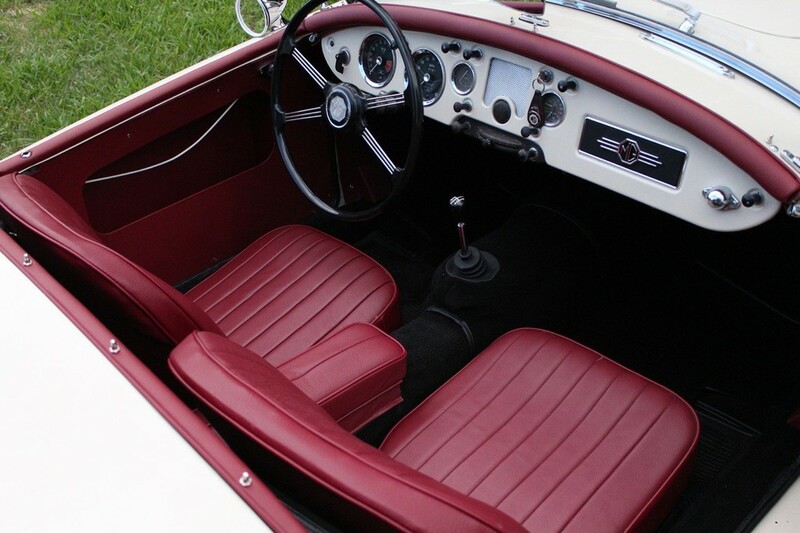 Wonderfully restored MGA in a classic color combination of old English white with red leather. 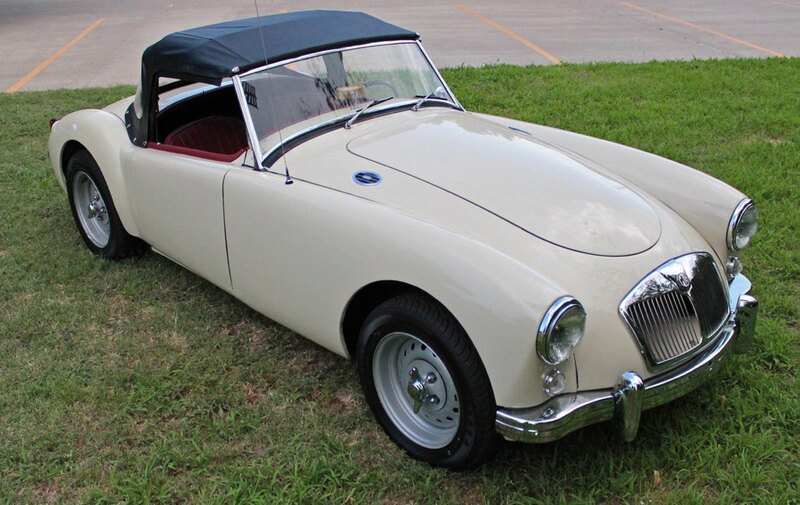 This car was built to mimic a factory Deluxe car with upgraded trim and wheels. 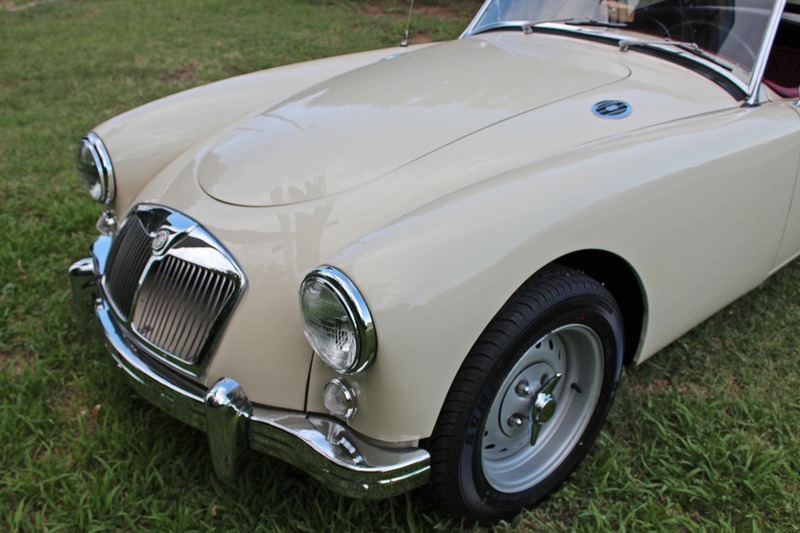 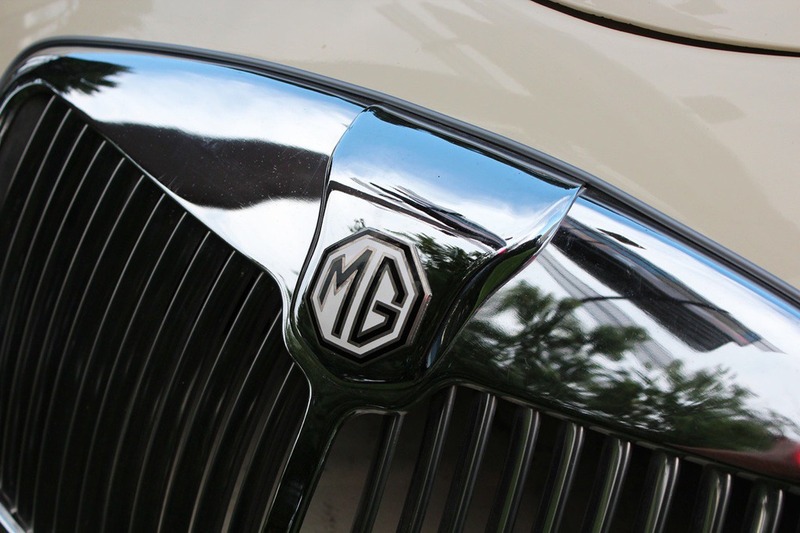 The Deluxe was a stop gap model to use up the MGA Twin Cam cars after the twin cam motor had problems and sales fell off. 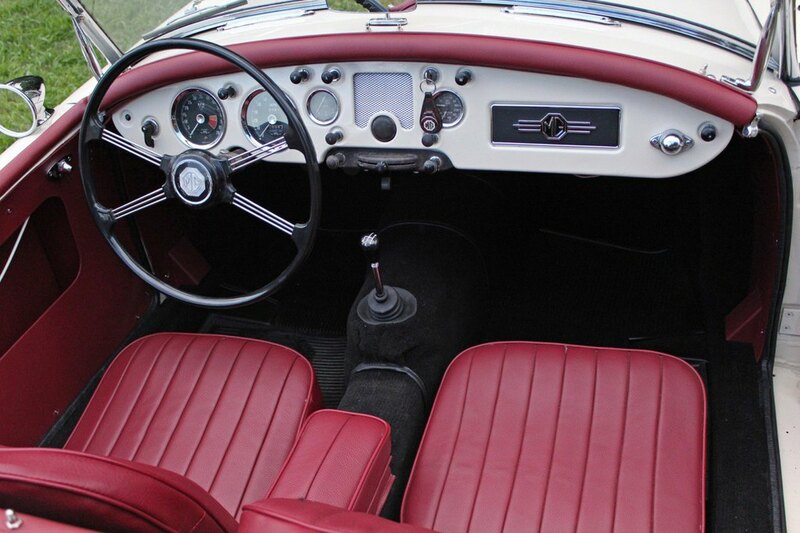 The Twin Cam and Deluxe cars had better trim including better leather seats and knock off steel wheels. 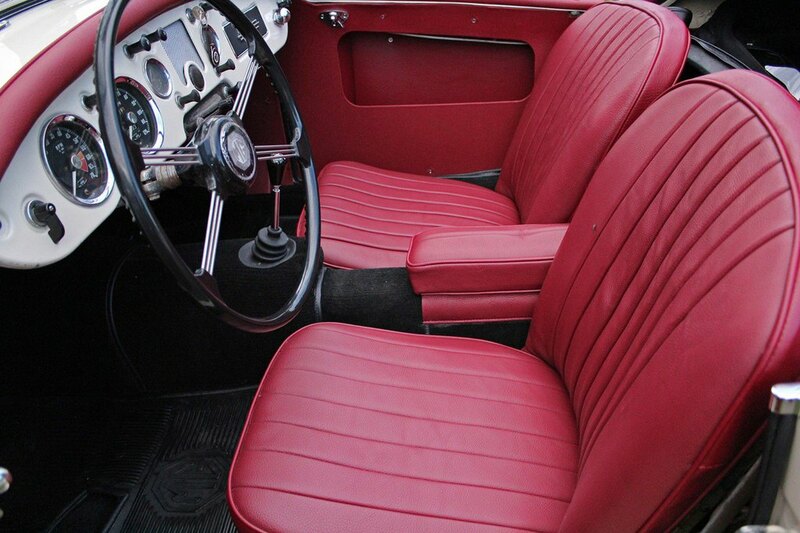 This car was restored with this look in mind. 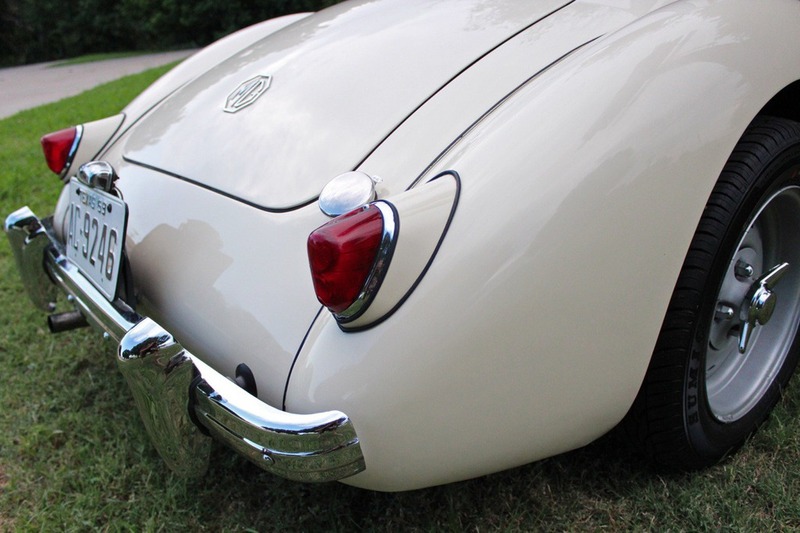 The paint is beautiful with a deep shine and while not perfect, it is very nice and correct. 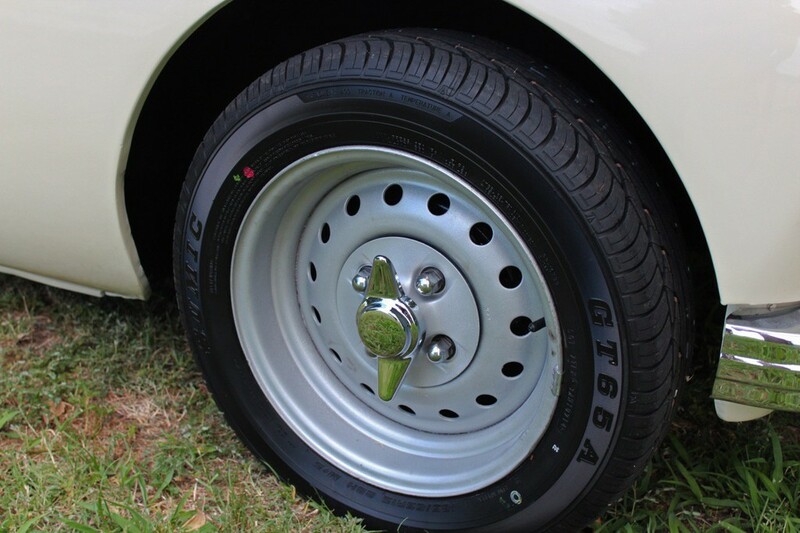 The chrome is a mixture of new and very nice original/rechromed. 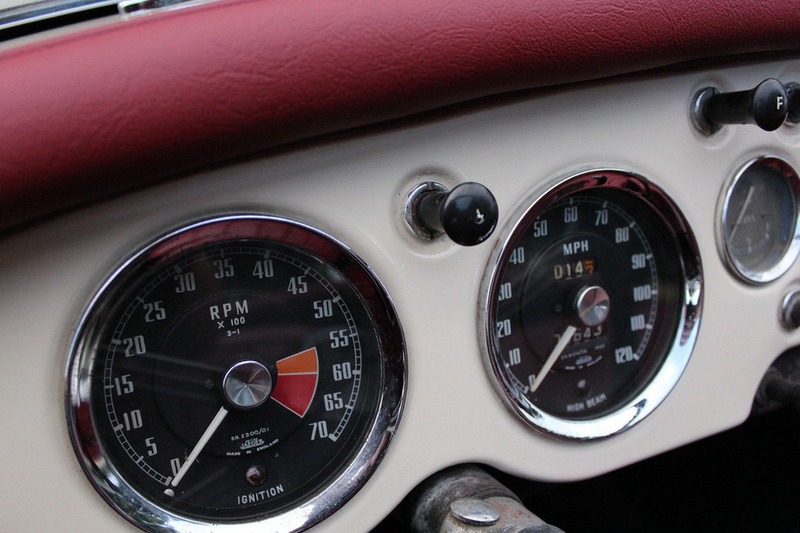 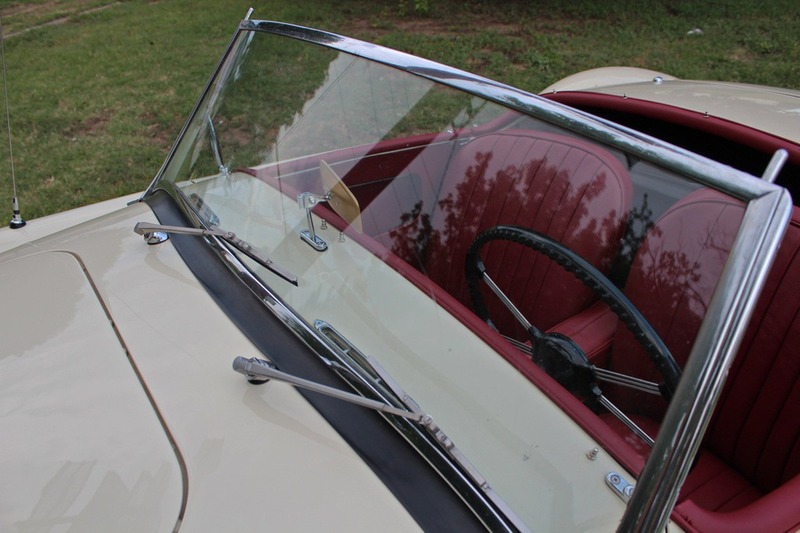 Since the car started as a dry rust free and original car, many components were in great shape already and were reused and refurbished/rechromed where appropriate. 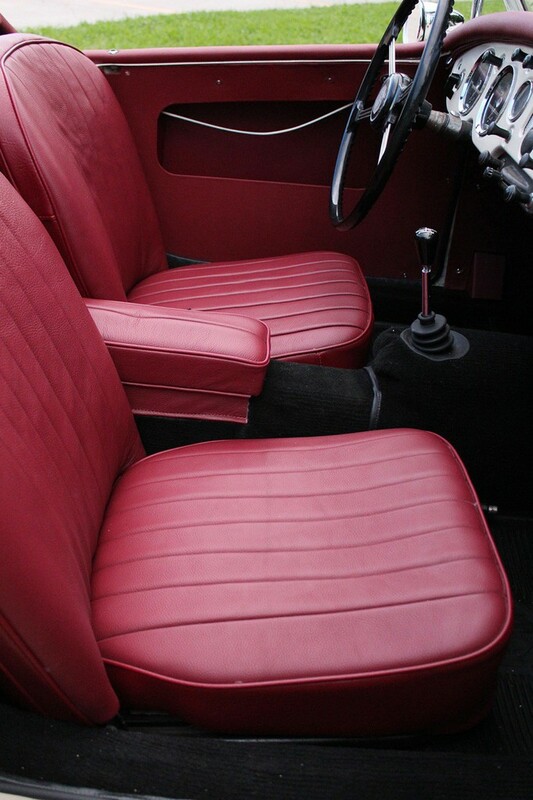 The interior was completely redone in correct high quality red leather hides. 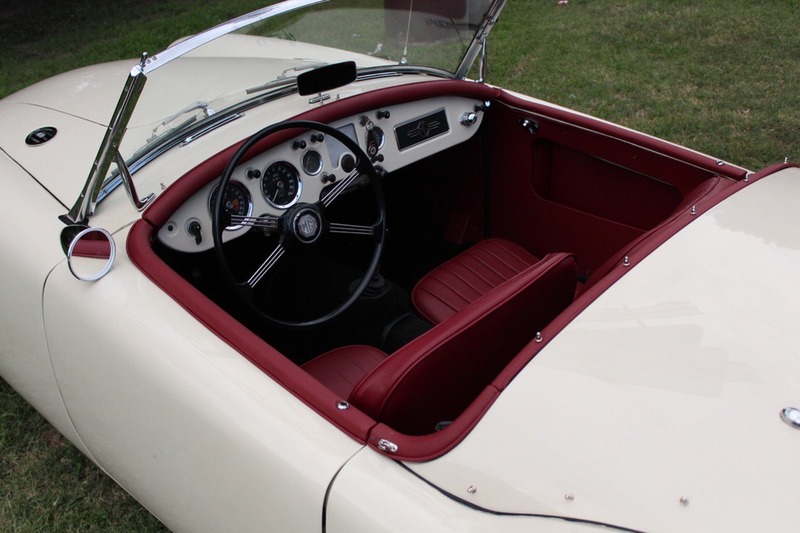 The carpets and panels were replaced with top quality reproductions as well. 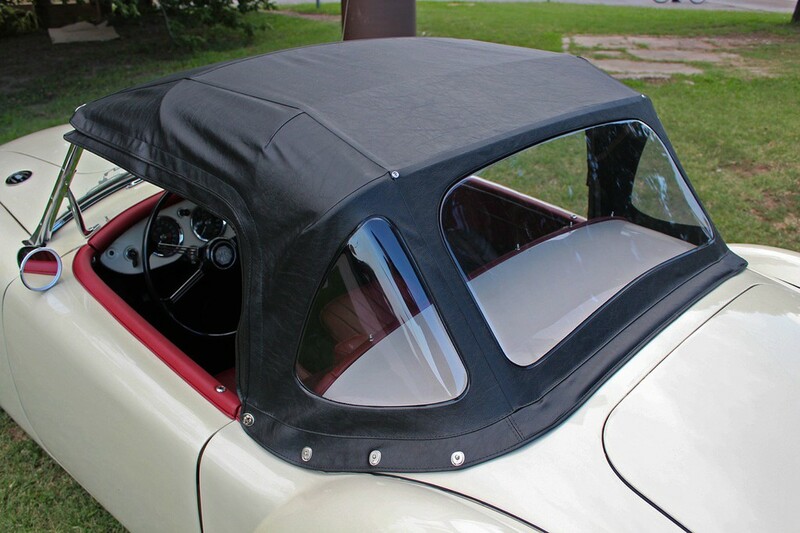 The top is a high quality Robbins top and is new too. 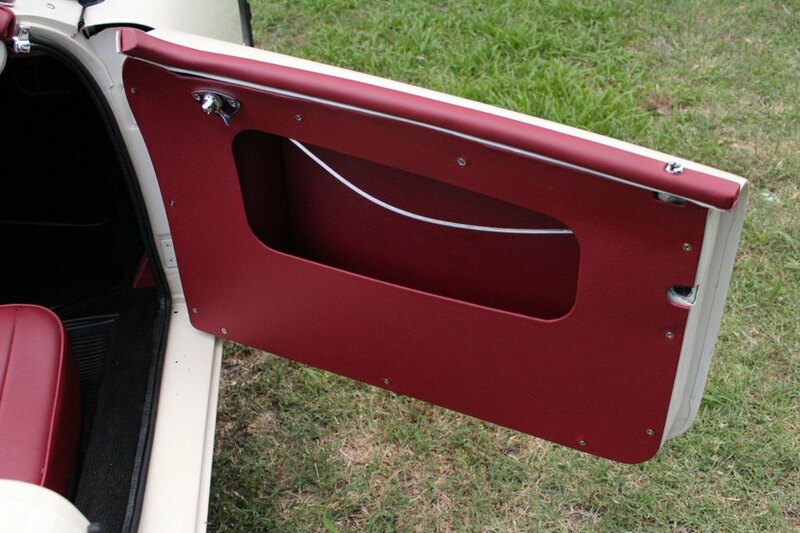 The trunk has been restored and has a nice carpet kit. 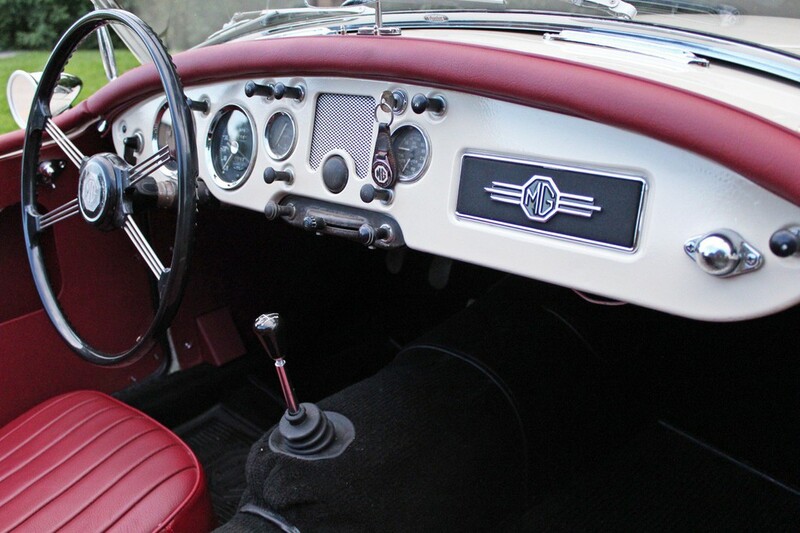 It runs and drive well after being heavily serviced recently after being stored for a few years. 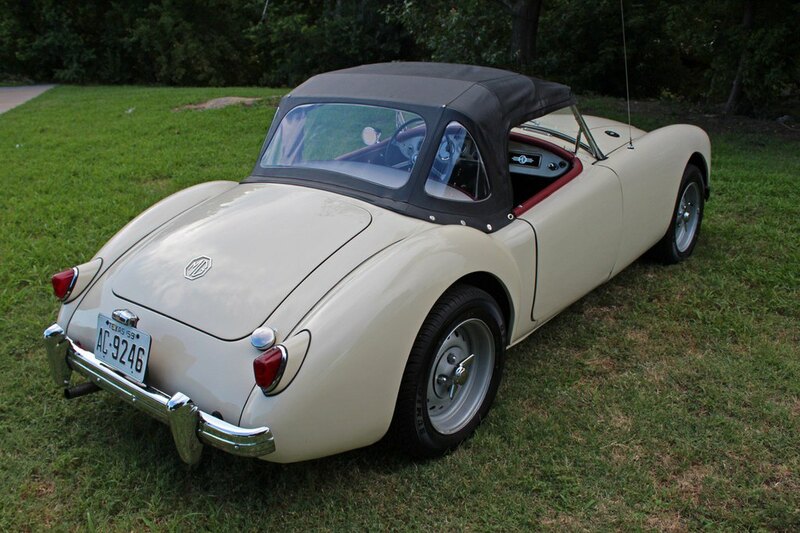 The hydraulics were replaced, carbs rebuilt, and it now runs and drives as it should.